Polar bear donuts are the perfect breakfast when it is frigid outside. These easy donut treats will put a smile on everyone’s face and brighten up the morning. Winter time can drag on and on and sometimes we need to do something a little special in the morning to get our children moving. If kids wake up and find out you made some simple polar bear donuts for breakfast I think they will jump out of bed! 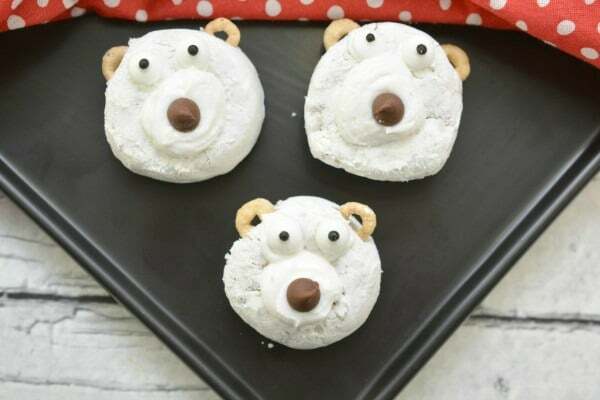 These cute bear donuts also make a great breakfast for sleepovers or class parties at school. My kids sometimes have a pajama day during the winter months and sending polar bear donuts along gets me extra mom points! While you are eating these donuts you can talk about everything polar bears! It doesn’t take much time to assemble a platter of polar bear donuts. I am always a fan of easy and this recipe definitely falls into that category. 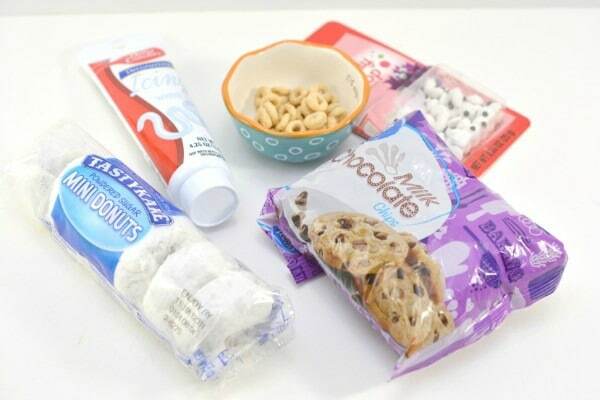 This is also a breakfast treat that the kids can help you make or even make themselves. I love getting kids into the kitchen. First lay out all of the white donuts flat on a flat baking sheet. I prefer to spread out some parchment paper on the baking sheet to reduce clean up time. This is a recipe where you decide how many you want to make! Remember, these will go fast!! Now take the tube of white decorator icing and fill the hole of the donut with icing in a circular shape. This is going to be the base of the polar bear’s face and nose. It is time to create the cute little face of the polar bear. Start off by putting a chocolate chip in the center of the icing you just put on the donut. This chocolate chip is the polar bear’s nose. Take 2 edible candy eyes and put a little bit of white icing on the back side and place them above the icing circle. These will be the polar bear’s eyes. The icing on the back will help them adhere to the donut. Grab two cheerios and gently push them into the top of the donut for ears. Powdered sugar donuts are fragile so be careful not to push too hard or the donut may crumble. The last step is always the hardest for me. It is time to put the baking sheet with the polar bear donuts into the freezer to set up. It will take about 5-10 minutes for the icing to firm up. Are you ready to make a platter full of polar bear donuts? You can print off the full recipe below. 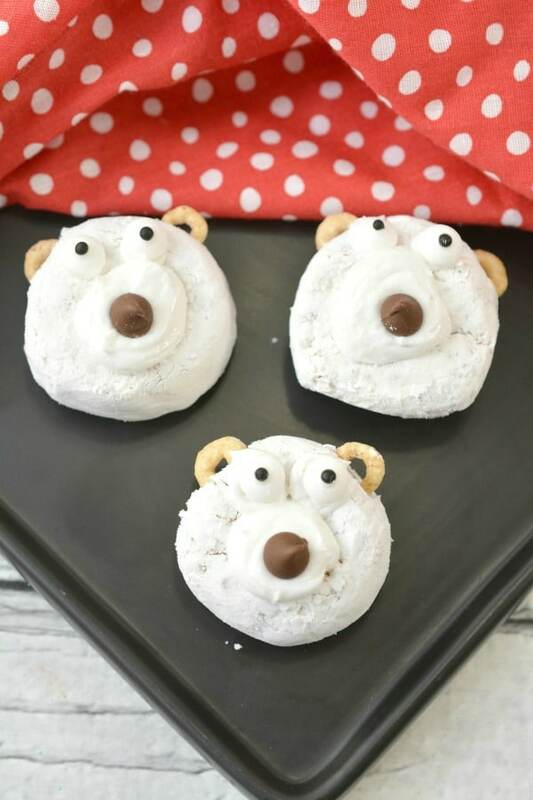 Polar Bear Donuts are an easy breakfast treat to make and kids will love them. Begin by laying a mini powdered donut face down on a flat surface. Fill the hole of the donut with white decorator’s icing in the rough shape of a circle. Place a chocolate chip in the center of the white icing circle you just created, this will be your polar bear’s nose. Place a dot of icing on the back of a candy eye, and place it onto the front of the donut just above the nose area of your polar bear that has already been created. Repeat this process with another candy eye. Gently push a Cheerio into each side of the top of the mini donut. These will be the ears of your polar bear. Be careful not to push too hard, or your donut might crumble. 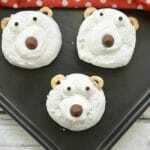 Place the polar bear donuts on a plate in the freezer for a few minutes to allow the icing to set and harden. Repeat this process to make as many polar bear donuts as you want. 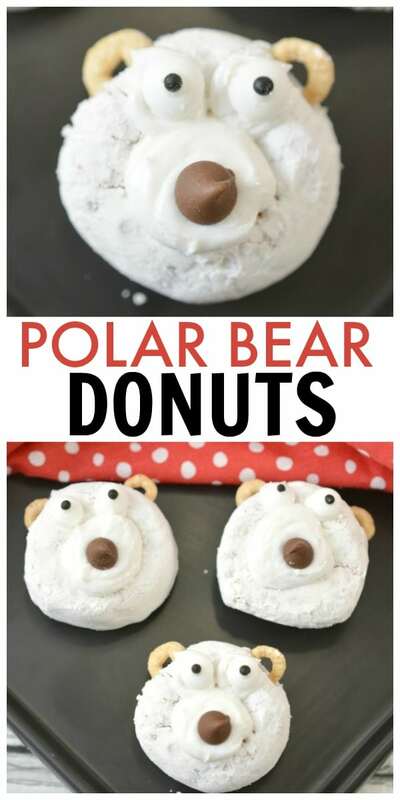 If you liked this recipe for Polar Bear Donuts, make sure to pin it so you can make it again later! If you like fun food ideas that kids will love, you might enjoy these recipes too. Your Polar Bear Donuts are just adorable! Hope you are having a great week and thanks so much for sharing your post with us at Full Plate Thursday. Thanks for the recipe and instructions! This is so fun! Pinning! These are so cute! Thanks for sharing at the What’s for Dinner Party – hope your week is fantastic!